This Week's Fast Fails: Ferrari's! Have a fail you want to see? Let us know! This week Katie welcomes Rislone spokesperson and reality TV star Bobby Janiec as they present to you the Rislone RS700 Mustang that you can enter to win. 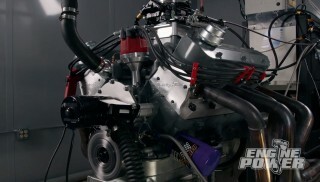 Built by Engine Power, this Pony makes over 700 horsepower at the crankshaft, with the help of a Pro Charger Stage Two kit.